A man's backyard workshop went up in smoke in Vista Sunday afternoon. 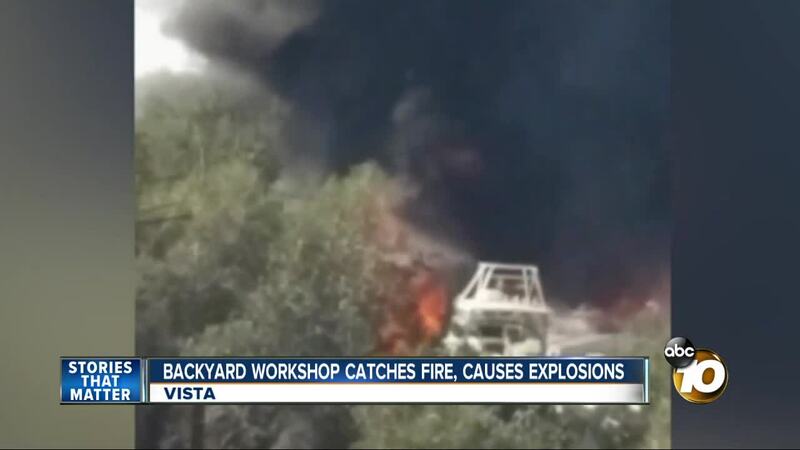 VISTA, Calif. (KGTV) - A backyard workshop in Vista caught fire Sunday afternoon, according to Vista Fire officials. Neighbors said they saw thick black smoke towering into the sky and heard almost a dozen explosions. Neighbor John Ploetz said it sounded, "like a bomb, people up the street heard it." 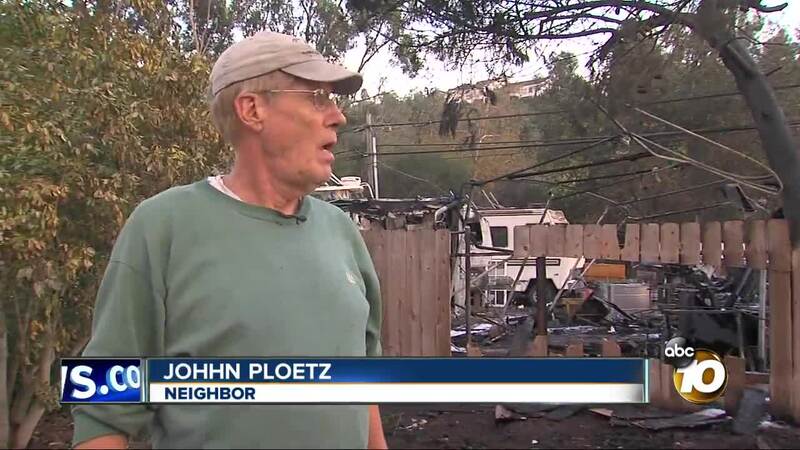 "It takes a minute you know, your brain goes oh it's probably fine, or he's welding you know and then I see there's flames, and no firemen here, and the fence is on fire, I better call 9-1-1," Ploetz said he grabbed his garden hose and worked to contain the fire. He wet down nearby foliage and put out small spot fires on the outside of the fence. Fire officials said the fire started around 12:32 p.m. and arrived at the home in the 1000 block of Ora Avo Drive in minutes. Ploetz said what he did was something anyone would do and he was concerned the fire would spread to other homes nearby. He was shocked when a pine tree burned up in seconds, "it just whoosh! Went up like a torch, it was loud, that was before the firemen got here." The workshop contained propane tanks, and tools for metal art that the homeowner creates as a hobby. The family was at church when the fire started and were thankful no one was hurt. Among the valuables they lost were three boats and a motor home. Firefighters are still investigating the cause.